Q: What is the E-Verify program? A: The E-Verify program updated employment verification measures that were enacted with comprehensive immigration reform signed into law by President Reagan. For the first time in our history, Congress made it a federal crime to employ undocumented workers. Ten years later, Congress passed the Illegal Immigration Reform and Immigrant Responsibility Act of 1996 that created a new tool to verify employment eligibility. Then known as the Basic Pilot Program, E-Verify was launched as a voluntary federal program in six states (California, Florida, Illinois, Nebraska, New York and Texas), giving employers a web-based tool to verify the identity and employment eligibility of new employees. Since then, I have worked to renew and expand the program for use in all 50 states and to allow for information sharing between federal agencies, including the Department of Homeland of Security. 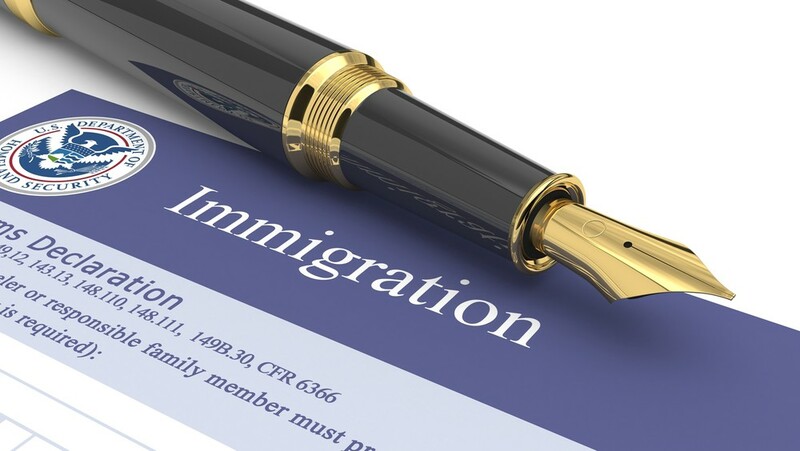 Participating employers tap into a user-friendly, free electronic system that cross matches documents provided by employees on the Form I-9 with federal records available to the U.S. Citizenship and Immigration Services, Social Security Administration and Department of Homeland Security. Some states participate in the RIDE program which enables records and information from their Departments of Motor Vehicles to validate the authenticity of driver’s licenses presented as identity documents. Document fraud is a persistent concern that will require sustained efforts to stay ahead of sophisticated efforts to misuse E-Verify and undermine immigration laws. Today E-Verify provides instant verification for more than 750,000 employers and businesses across the country. In fact, my Senate office uses E-Verify when hiring staff. It’s quick and easy to use. Q: What updates are you proposing to E-Verify? A: In my county meetings across Iowa, it’s good to hear about the growing economy, rising wages and vitality on Main Streets and business parks across the state. Iowa now ranks first in the nation for the lowest level of unemployment. That also means there’s growing challenges for employers to be able to hire the workforce needed to grow and expand. We need to make sure hiring practices do not harm U.S. workers or those authorized to work in the United States. That is why I am reintroducing legislation to help businesses comply with immigration laws by certifying the legal status of their workforce. The Accountability Through Electronic Verification Act would permanently authorize the E-Verify program and require employers to use the program to determine workers’ eligibility. For decades, E-Verify has served as a proven tool for employers. It has helped to reduce incentives for illegal immigration and safeguard job opportunities for Americans and other legal workers. Expanding the system to every workplace will improve accountability for all businesses and take another important step toward putting American workers first. Comprehensive immigration reform has eluded Congress for too long. Current law requires all contractors doing work for the federal government to use E-Verify. States that have passed laws mandating the use of E-Verify also may require employers to participate, for example as a condition of business licensing. With low unemployment across the nation, and with Iowa leading the way, policymakers have a responsibility to ensure the growing economy has the workforce it needs to continue to grow. As former chairman of the Senate Judiciary Committee, I have worked extensively to protect the integrity of employment visas and work permits for foreign workers. A top priority must be to ensure immigration policies aren’t displacing American workers or depressing wages. Making E-Verify a permanent and mandatory requirement for all U.S. employers will bring across-the-board certainty to hiring practices across the country. Certifying the legal status for prospective hires makes common sense and having in place the tools at one’s fingertips makes it a simple, convenient solution. E-Verify is a proven tool to encourage legal immigrants to apply for unfilled jobs and to deter illegal immigration and human trafficking. In addition to making E-Verify permanent and mandatory within one year of enactment, my bill would: increase penalties for employers who illegally hire workers unauthorized to work in the U.S.; require employers to check the status of all current employees within one year using the E-Verify system and terminate employment of those found unauthorized to work in the United States; establish a demonstration project in a rural area without internet capabilities to assist small businesses; and require the Social Security Administration to improve efforts to detect identity theft using Social Security Numbers. Expanding this program from sea to shining sea will help restore integrity and trust in our nation’s immigration system by curbing incentives for illegal immigration.